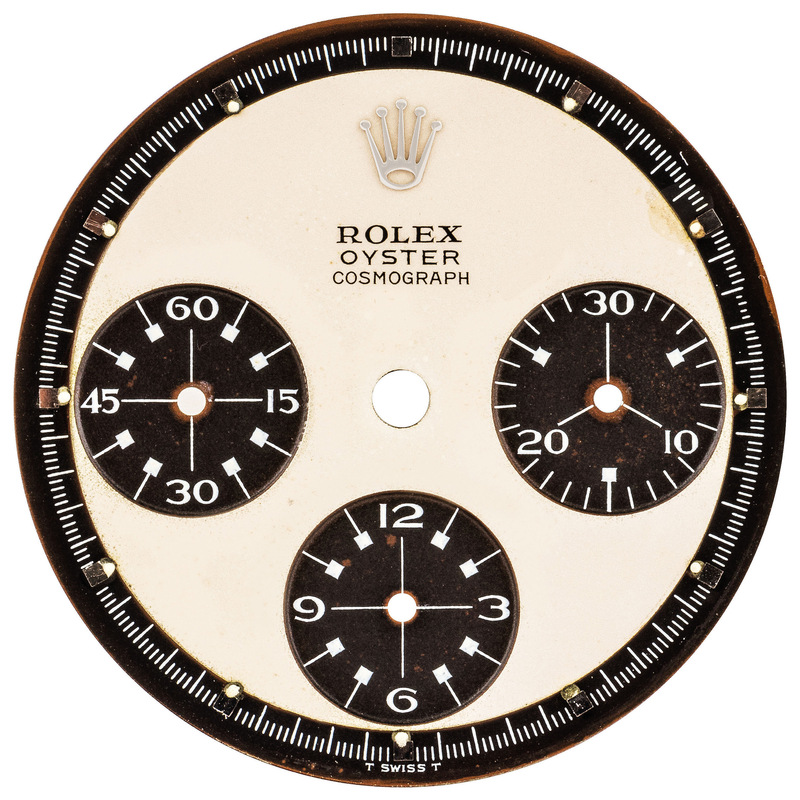 In early January 2019, while comparing white ROC (Rolex Oyster Cosmograph) Paul Newman dials registered in my Rolex Daytona database, I stumbled upon a previously unknown dial variation. 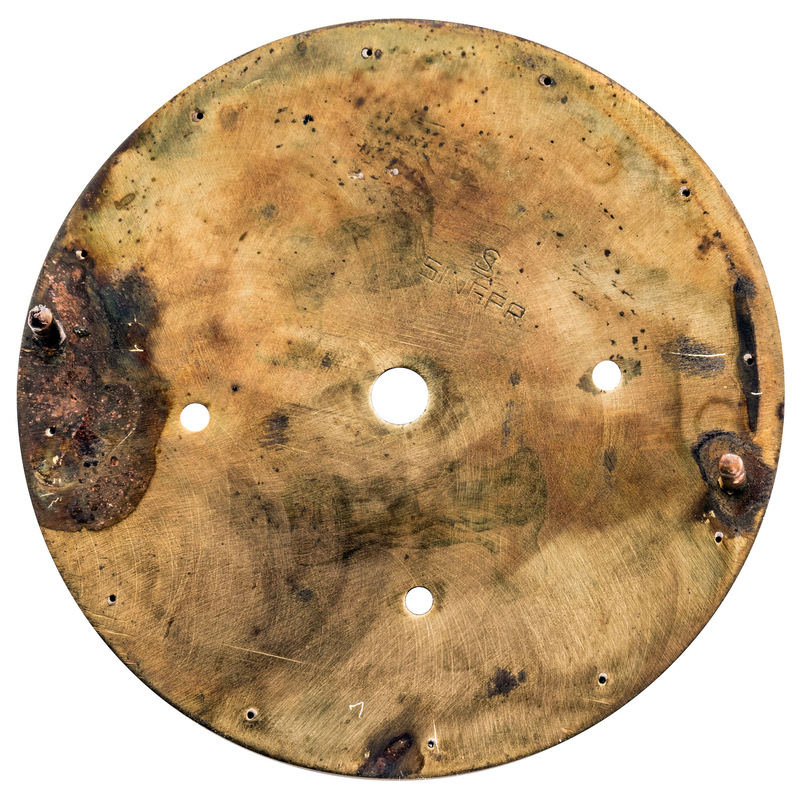 The picture below shows a stunning example of such a dial. At first glance, it looks like a mark 1.5, doesn’t it? 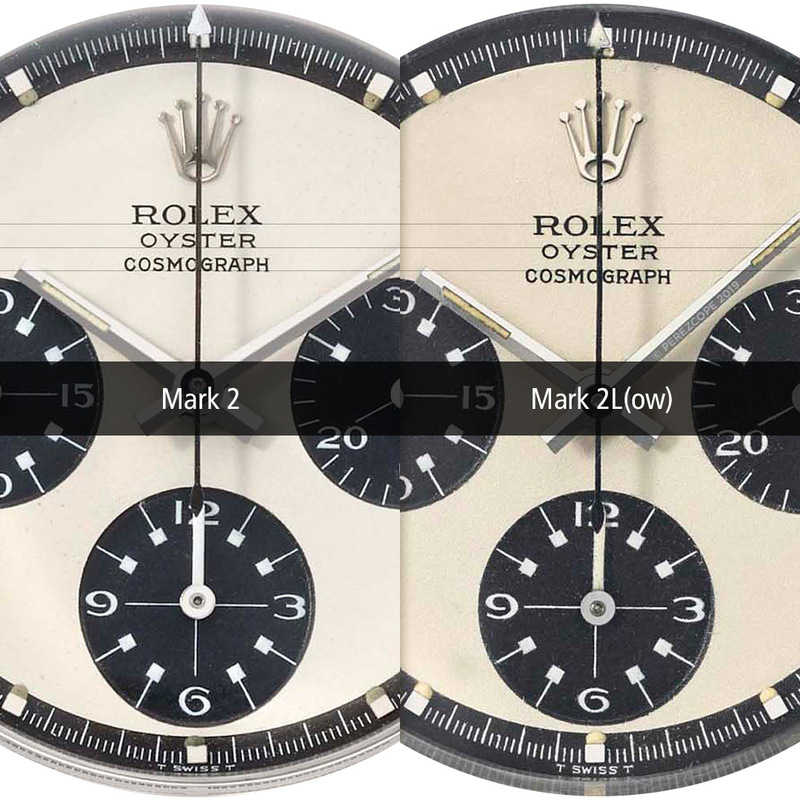 Until that moment, I was only aware of the three dial variations shown in the comparison below: Mark 1, mark 1.5 and mark 2. Totally excited, I immediately texted my good friend Ron aka @stockmarketmindgames from Singapore, to tease him about the new discovery. Besides celebrated stock market savant, Ron is also a discerning collector of the most amazing Paul Newman Daytonas you can imagine. Just recently, Ron was interviewed by Wei Koh from Revolution Magazine. A few days after my announcement, Ron came to Malaysia for work and we had the opportunity to meet in Kuala Lumpur for dinner. I couldn’t wait to show him what I had discovered but to my total surprise, Ron already knew about it. 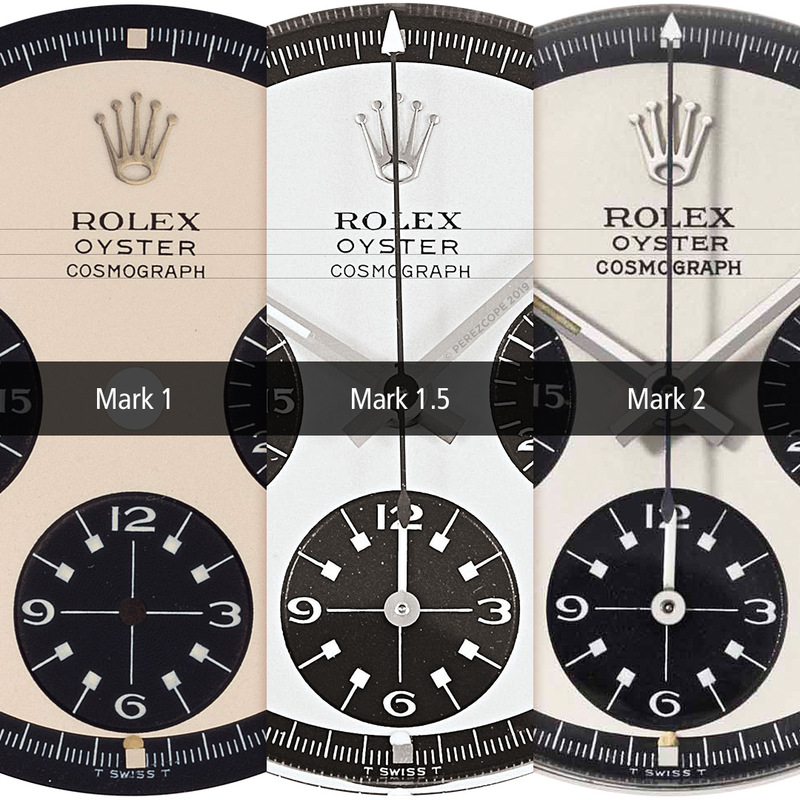 The comparison below shows all four dial variations at a glance. The dial type in question is pretty rare. Only six pieces were documented in my database. Seven, if we count @may_pakawat’s 6265. Four 6263 in the 2.2 million case number range, two 6263 in the 2.6 million region and one 6265 at 2.8 million. In his post, @may_pakawat referred to this type of dial as mark 1.75. I must admit, I am not perfectly happy with this name but due to lack of better alternatives, I am going to stick with it for the time being. 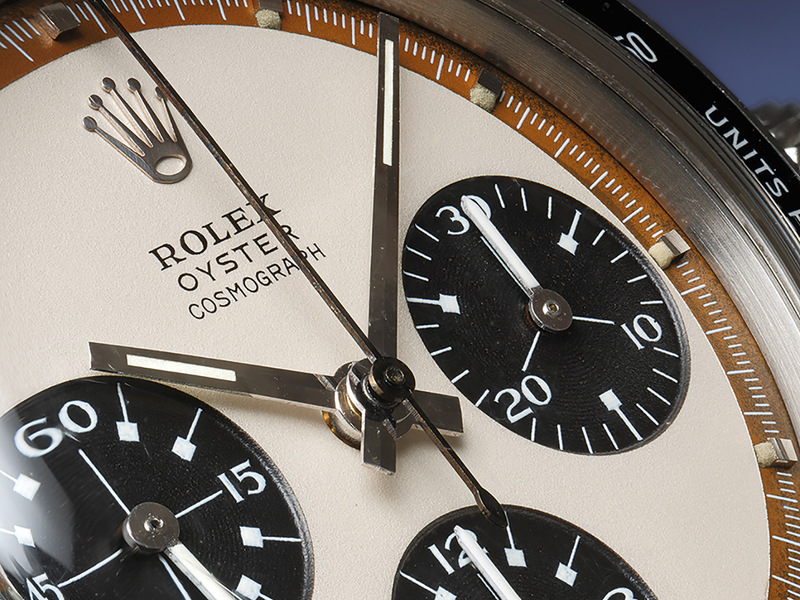 At first glance, the “new” dial type can easily be confused with mark 1.5, which is probably the reason why it remained undetected by most for so long. The comparison below shows the subtle differences. 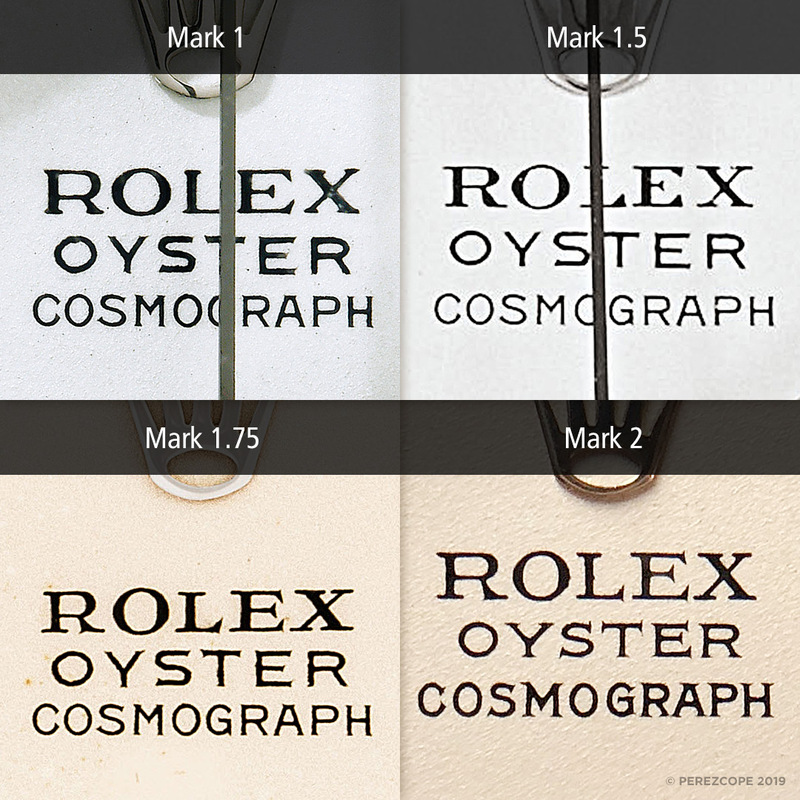 On mark 1.75, the word “ROLEX” is printed in a different typeface, while “OYSTER” and “COSMOGRAPH” remain basically the same, with some slight variation in thickness due to the printing process. The most notable difference is in the letter “R” of ROLEX. The so-called leg (arrow) with its distinctive downward serif is quite obvious. The letter “E” has a way longer arm. In addition, the “X” has a slightly cursive (italic) appearance. The next comparison shows that on mark 1.75 (right), the ROC text is printed slightly lower than on Mark 1a and 1b. The very same applies to a variation of the mark 2 dial but more on this later. 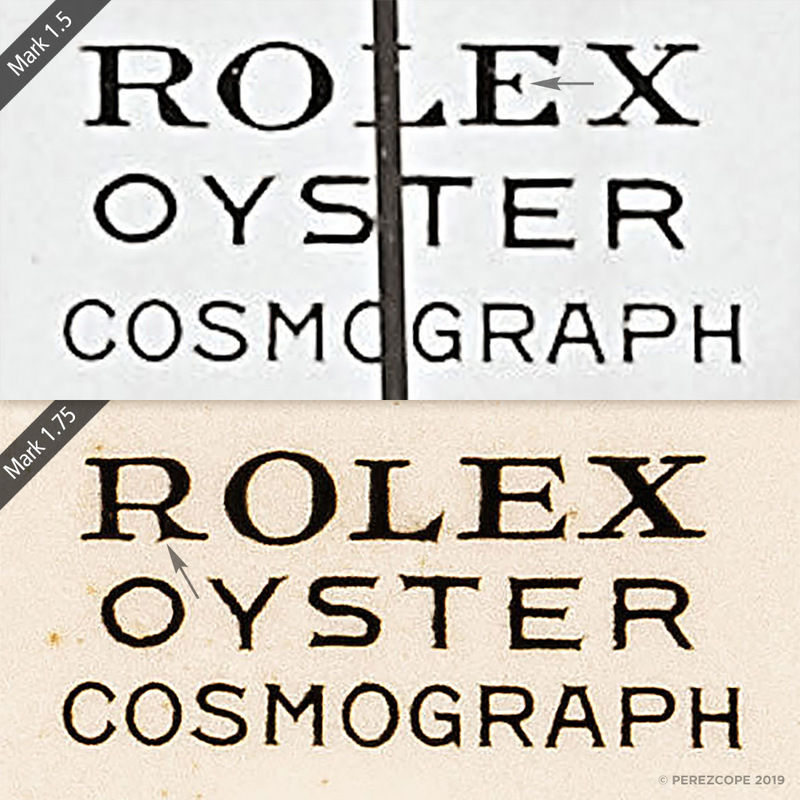 This comparison makes also clear that the words “OYSTER” and “COSMOGRAPH” share the very same type of font on all three mark 1 dial variations. I say mark 1 variations, as marks 1.5 and 1.75 are basically a transition between mark 1 and mark 2. I first noticed this type of dial on a 6263 sold by Christie’s Hong Kong in Nov. 2018 but I made the mistake to not look properly and wrongly assumed it was a mark 1.5 dial. According to Christie’s, this watch came from the original owner. The back of the dial bears a period correct Singer stamp with edgy letters. As mentioned earlier, I noticed also a variation of the mark 2 dial. 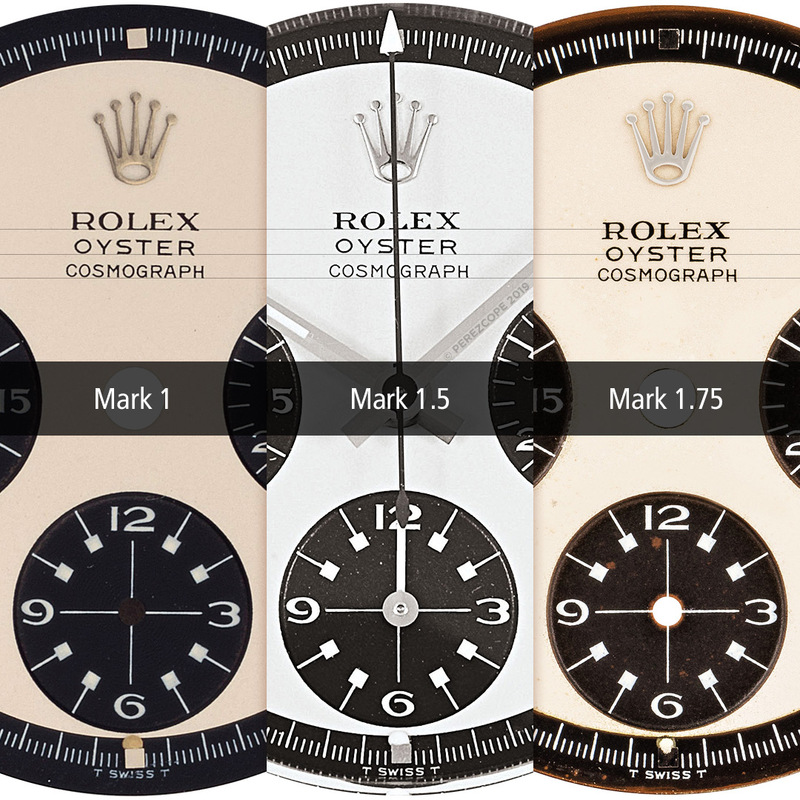 The next comparison shows that on some mark 2 dials, the ROC is printed slightly lower, similar to mark 1.75. Dials of this type, with lower ROC text, appear predominantly towards the production end of Paul Newman aka exotic dials. Please don’t hesitate to leave a comment if you have any questions or remarks. Comments are only displayed after approval. Special thanks to Ron and @may_pakawat for their precious contributions.